Ooh la la! 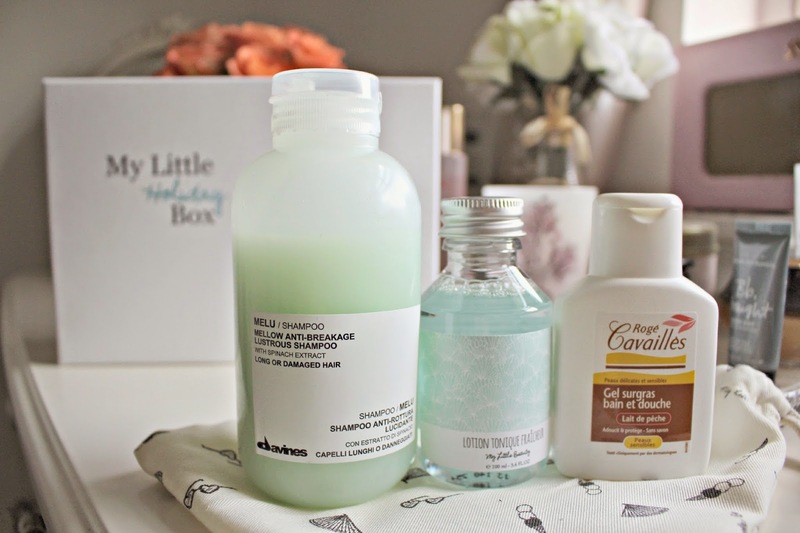 The latest beauty box that i’ve discovered is from french based ‘My Little Box’. The french sure know their beauty, so I was super excited to try out the treats inside! 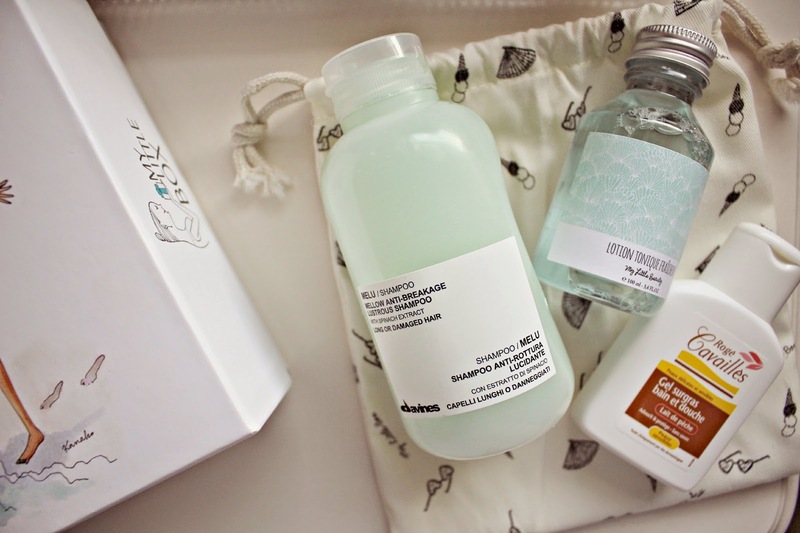 The box contains an Anti-Breakage shampoo from Melu, shower gel from Roge Cavailles, a toning lotion created especially by My Little Box, a large tote bag (perfect for the beach!) and a handy waterproof bag for storing valuables on holiday. 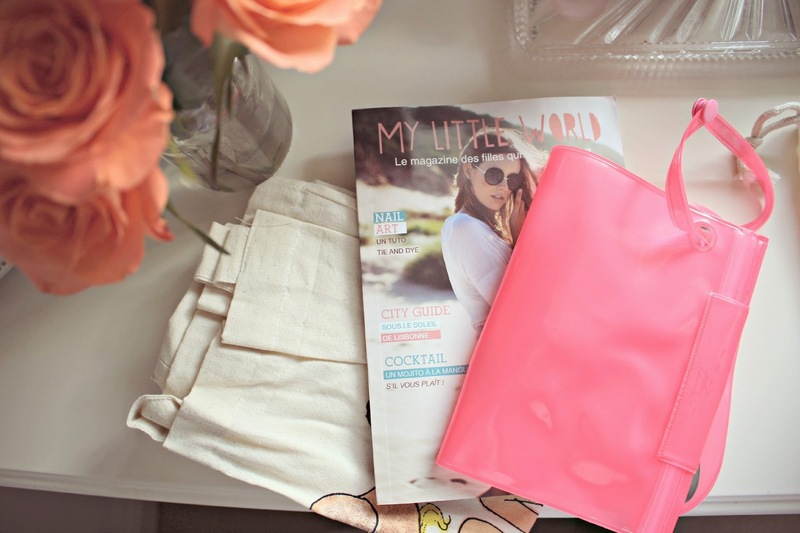 There is also a copy of My Little World magazine but sadly it’s in French so je ne comprend!! Each box is themed, there is a ‘weekend’ box, ‘dolce vita’ box and even a ‘love’ box, but I was kindly sent the ‘Holiday’ box, containing these handy goodies for a beach break! I’ve only used the beauty products once so far, but can say already that I’m loving the shampoo. It feels like it gives my hair a deep cleanse and smells lovely too – I also love the simple, almost medical looking packaging! I think the Shower Gel packaging is a bit clinical looking, but it’s a handy size for packing on hols! The beauty bloggers who created the My Little Box also created the Lotion Tonique – it’s a refreshing scent and removes all the last dirt and makeup from your skin. For me the handiest product in the box is this pink waterproof bag – it’s ideal for storing electricals and money while on the beach. With the snap-shut handle, you can attach it to your beach bag so that you don’t loose it, and it is 100% waterproof. Only last Summer while on a family holiday in Greece, one of our ‘waterproof’ barrels wasn’t done up properly, soaking all our money and cameras! I’ll be keeping everything valuable in this from now on!